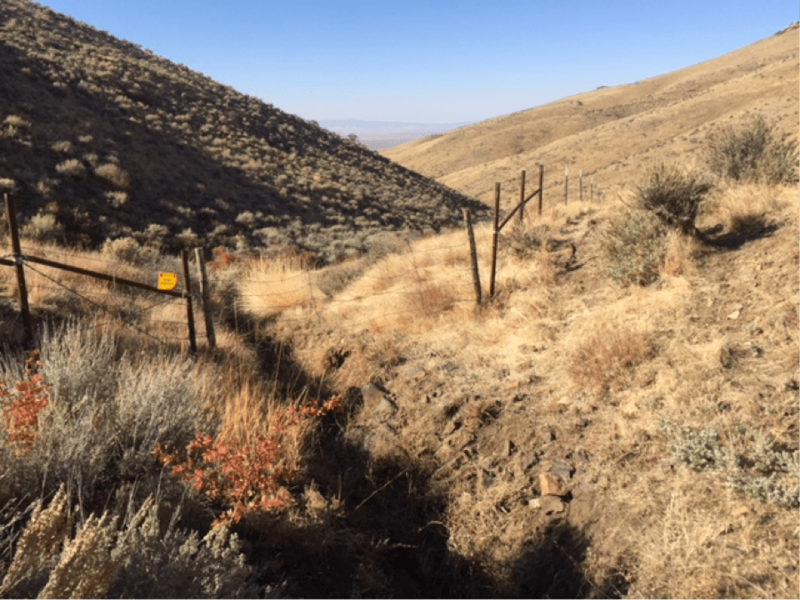 The upper of 2 band aid NRST exclosures in Rat Fink watershed has resulted (predictably) in extensive cow trailing along the fence. This has already caused gullying two feet deeper in one site where the fence crosses a cow battered small tributary. The headwaters get pommeled by livestock grazing in spring or early summer. 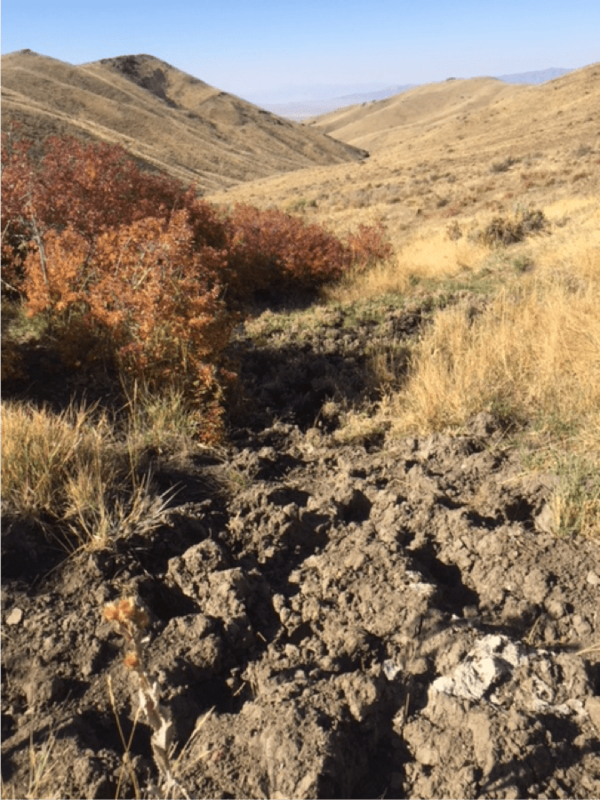 Although there is some veg regrowth since the cows were removed, the trampling damage is very extensive and seriously degrading the watershed. It is destroying the ability to sustain surface water flows here. Every inch of the wetted sites have been deeply hoof picked by cows. 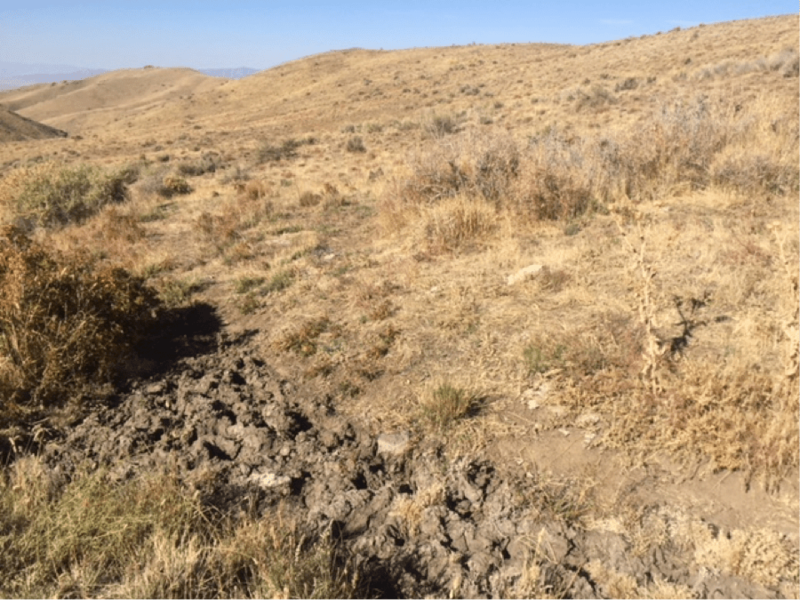 Further, this type of damaging and desiccating cow damage demonstrates the absurdity of the NRST scheme of only monitoring grazing impacts in the fall. It also demonstrates the absurdity of the NRST scheme of having no trampling standards and MIM monitoring ignoring soil compaction. Gullying due to new fence.